Listen Carefully Or You'll Miss It: We've Got Justice Thomas On Tape : The Two-Way Known for not speaking from the bench, Justice Clarence Thomas spoke four words this week. For the record, here's what it sounded like. As it does each Friday, the Supreme Court has released audio recordings of the week's oral arguments. 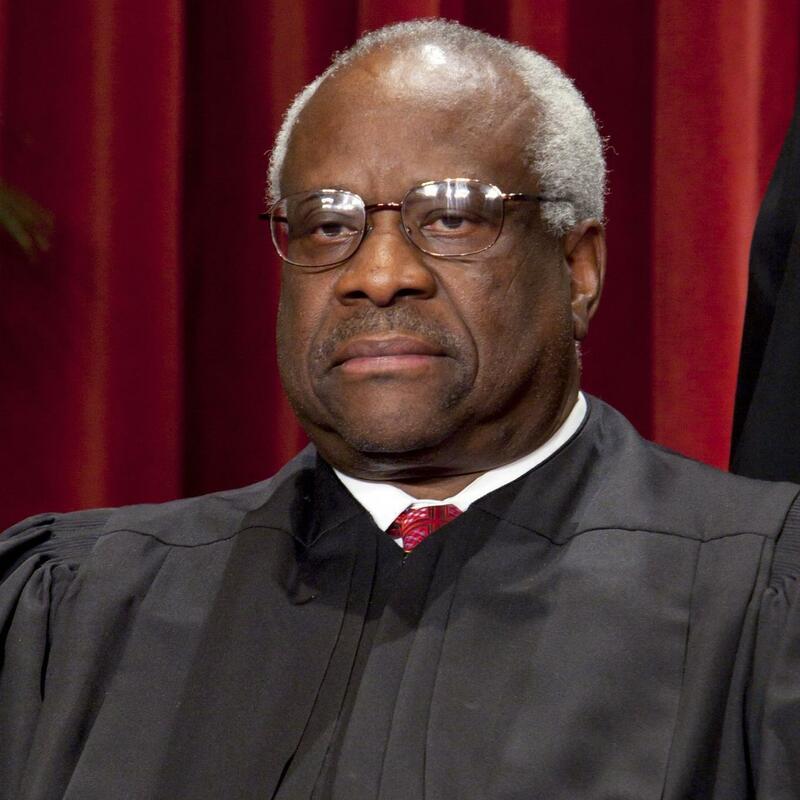 Which means we can now hear what it was like when Justice Clarence Thomas broke his seven-year silence. The official transcript says he spoke four words: "Well — he did not." The discussion at the time was about the qualifications of an attorney and it's thought that Thomas was making a joke at the expense of the Yale Law School, which he attended. We're embedding a clip. The first voice is attorney Carla Sigler. The second is Justice Antonin Scalia. Thomas comes in around the 13-second mark. But there's some cross-talk and it's tough to hear. It sounds like he laughs afterward. The last voice is Justice Sonia Sotomayor.